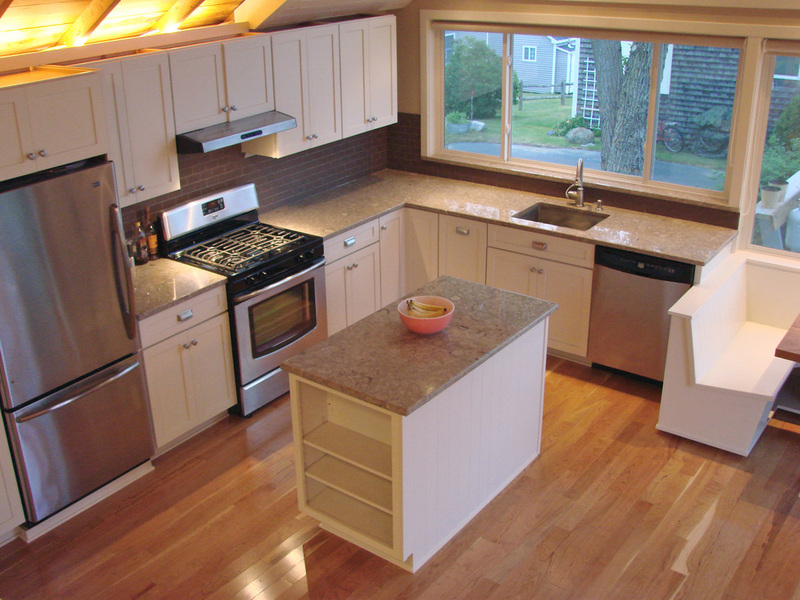 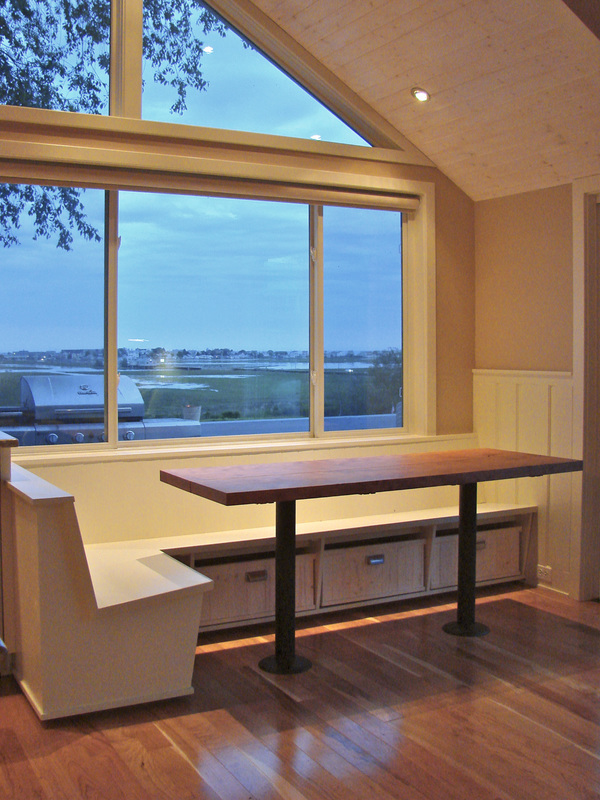 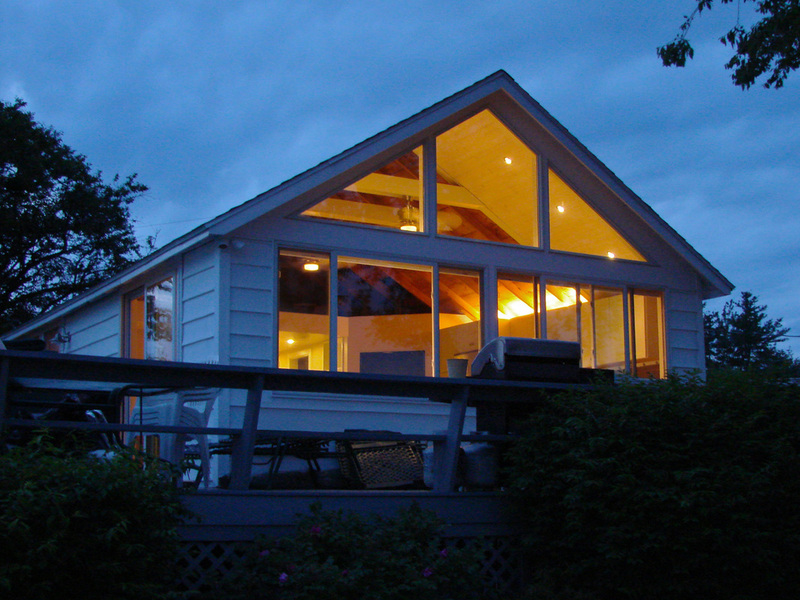 This compact (600sf) seasonal cottage received a complete interior renovation, involving a high-efficiency spatial layout and window wall to capture views of the nearby tidal marsh and ocean beyond. 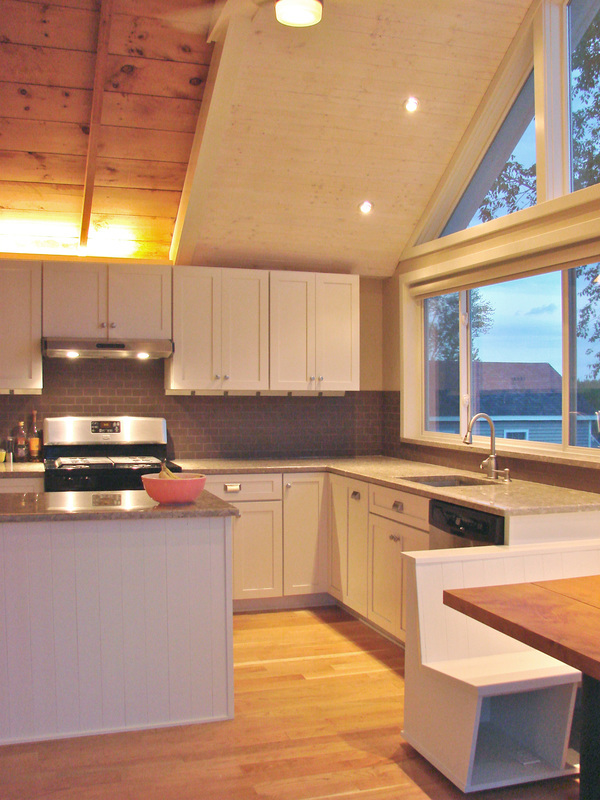 The multi-purpose great room combines kitchen, dining, and living space. 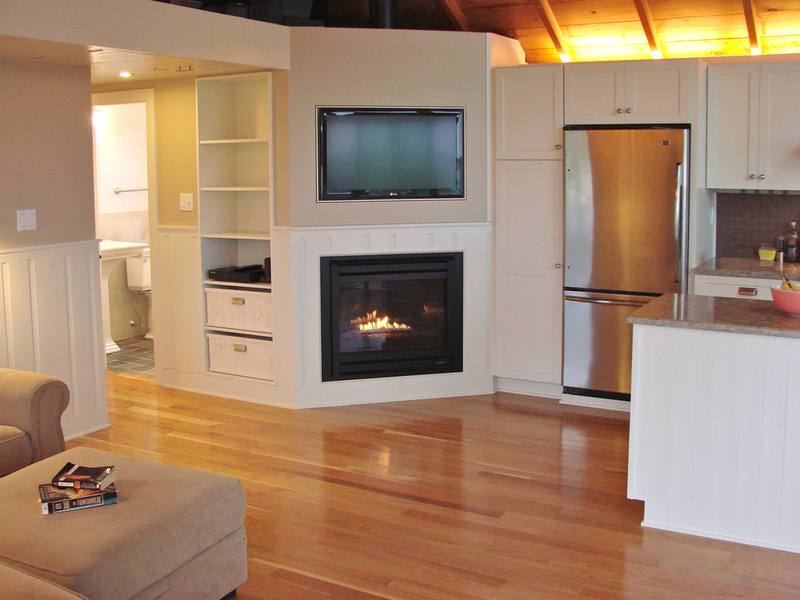 Built-in storage utilizes every accessible inch, leaving room for 2 bedrooms and a luxurious bathroom.